Wilwood Disc Brakes is a company that provides brake, hubcap, and cylinder repairs. 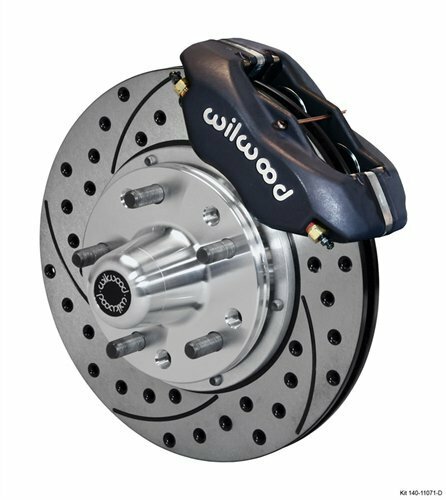 Wilwood provides services to new and old models, offering one of the widest selections of brake accessories in the market. Wilwood Brakes, also known as Wilwood Engineering or Wilwood Disc Brakes, is a company with the dual focus of designing and selling brake parts. They design brake parts, and at times entire brake systems, depending on the needs of certain vehicles. 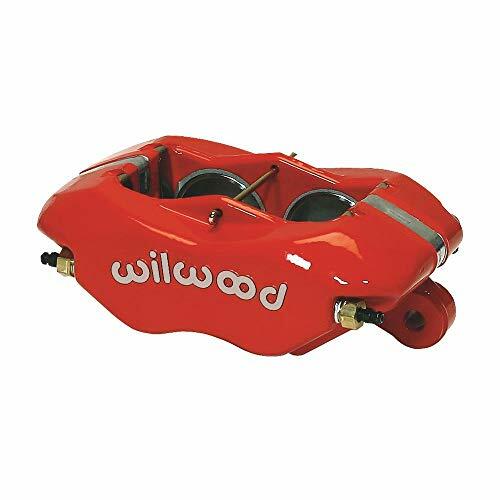 If you’re interested in Wilwood products, we’re going to list off some of their key features and challenges, so you can begin to guess if Wilwood would be right for you. Who AreWilwood Disc Brakes and What Products Do They Provide? Wilwood Disc Brakes and What Products Do They Provide? essentially refer to the back end and front end of the greater Wilwood Inc.
Wilwood Engineering refers largely to their engineering team and production factory, who design unique brake parts for numerous automobile lines. Wilwood Brakes refers to the side of their operation focused on selling their parts and making agreements with other companies to stock their parts on their shelves. Wilwood Engineering focuses on creating, installing, and repairing both standard and custom brake systems. They can install and repair each part of the brake system in industrial, agricultural, and leisure vehicles. They also create and install entire brake systems, not just individual parts. 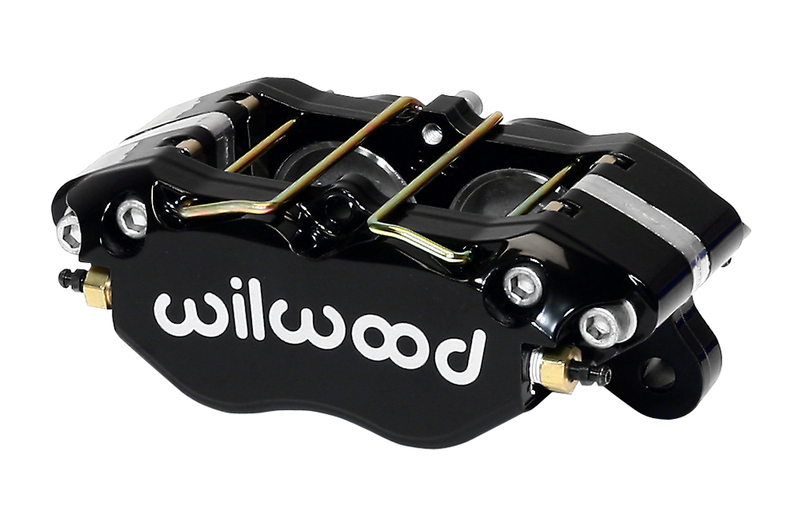 Wilwood also creatures unique brake systems for custom cars and motorsports vehicles. Wilwood focuses on providing both off the shelf and custom car parts to create efficient brake systems for different vehicles. The results are often hybrids of standard, daily vehicles and custom brake systems that tow the line between high-performance vehicles and average cars. braking and engineering designs to the automotive world. Wilwood's business starts on the factory floor, where their engineering staff creates various brake parts for new and old vehicle models. They also create original designs and make them adaptable so they can be installed in vehicles from different makers, rather than aiming to serve a particular vehicle model from the beginning. whether they want to create individual brake parts or an entire braking system. Their parts can serve industrial trucks and heavy-duty vehicles, daily use cars and vehicles, or expensive sports cars and high-end automobiles. As a result, their shelves are stocked with parts for many different vehicles and can serve a wide variety of automobile-related industries. You can purchase Wilwood products from their catalogs. They also form partnerships with car dealers to have their parts stocked in other company's stores, however. As a result, Wilwood is a multifaceted business that both engineers brake parts, markets and sells their products themselves, and partners with other dealerships to manage what Wilwood products are sold on their shelves as well. They also produce parts for custom vehicles, adding another layer to their business. Wilwood is an international brake parts provider. It is one of the highest rated brake parts companies in both US and worldwide markets. As such, it is possible to find Wilwood parts in their local storefronts, or on the shelves of car part stores in most modern countries. Their partnerships include many all-purpose department stores or warehouses, so you don't need to enter a Wilwood store to find one of their custom design brake parts. and product lists provided to quickly find out if there are existing calipers, brake lines, or so on that match your criteria. Wilwood has a stock of calipers, brake kits, master cylinders, pedals, proportion and pressure valves, rotors, hats, brake fluids, brake pads, hubs, pro spindles, brake lines, and parking brake cables. These products are designed for Chevy, Ford, GMC, Jeep, Hondas and more. These parts catalogs extend their reach from daily vehicles, to industrial and farming vehicles, to high-end sports cars. Wilwood also creates parts to help build custom design vehicles. Their average parts come with instructions to help you install brake lines and parts. 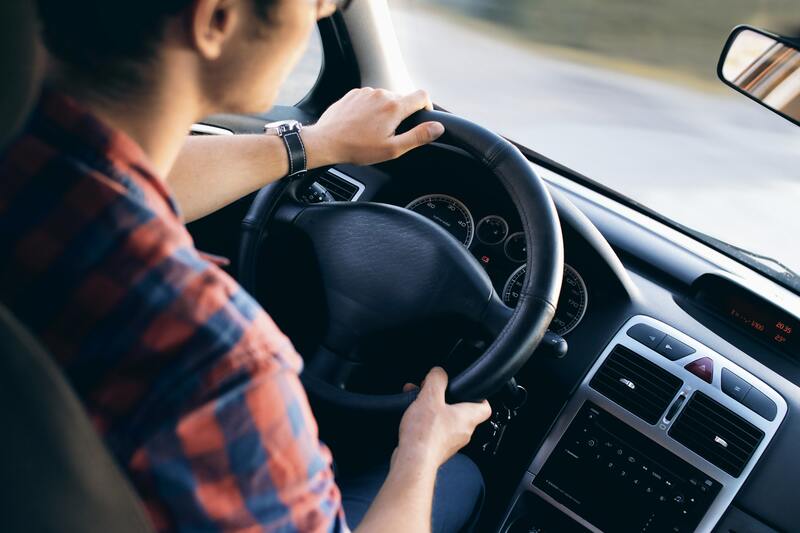 However, they also provide installation and repairs for high end or custom designs, and may even design unique brake systems under certain circumstances. So their services extend from basic brake products, all the way up to on-site high-end motorsport installations and repairs. Wilwood's customer-friendly adaptations have also led to the creation of instructional videos. As of this writing, there is a youtube page dedicated to videos of how to install Wilwood parts to your car. The videos are even organized in part based on the make and model of the vehicles a part can be installed into. So Wilwood is taking some steps to make their parts accessible to those of us without a lot of experience installing brake parts. 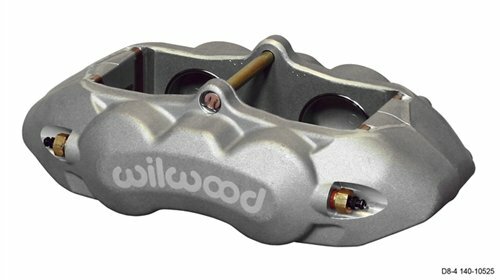 Wilwood has a unique catalog system to track their inventory of brake parts and compatible models. They're an ISO 9000 compliant company who service brake trains for hundreds of cars, trucks, and SUVs with unique makes and manufacturers. Their catalog includes over 300 different brake calipers, 200 rotor designs, 100 master cylinder designs, and more. Wilwood specializes in two types of brake parts; severe duty parts capable of enduring prolonged use, and high-performance brake parts that can endure strenuous use in a short period of time. This means people consider their parts above average for industrial trucks, agricultural vehicles, and so on. They are also considered a good budget-option for race cars and motorsport vehicles. Wilwood parts are also made to give average cars high-performance parts. This is useful for enthusiasts who want to buy a base car and create a custom job by installing high-performance parts to kit it out. Wilwood often markets its parts to owners of classic vehicles who need to replace old brake lines or brake systems. As a result, their parts can often be found in showroom vehicles and collector vehicles as well. A lot of testimonials note that Wilwood makes excellent high-performance and racing brakes and calipers. Wilwood is an especially trusted name in markets that rely on heavy-duty vehicles, such as industrial trucks or farming equipment. You'll find many people who want to customize personal vehicles, such as a Honda Civic, to have better performance choose Wilwood parts due to their versatility and helpful installation instructions. The products they make for your average vehicle have met with mixed reviews and less positive reception though. Their parts are expected to perform better but wear out faster. This does mean they’re more sought after in areas that require tougher brakes, such as the northern US, though. Wilwood also tries to make their parts versatile so that they can be installed on older vehicles such as a 1967 Mustang, or in collector vehicles that are in need of repairs. Wilwood products are coveted in some motorsports due to their performance. Wilwood is a recognized name in asphalt modified racing, asphalt late model racing, dirt late model, dirt modified racing, open wheel modified racing, and road racing. They also support other motorsports, but due to their current partnerships, they don't appear as often in other motorsports. They hope to expand in that direction in the future with public support, however. Wilwood is in the running for the best high-performance brake system designers out there. Their competitors include some of the top end brake companies, and you've likely seen both if you watch NASCAR or other motor vehicle sports. Vehicles like the Honda. Civic that can transform into high-performance cars with a bit of customization in particular benefit from Wilwood products. There are several Wilwood products designed for your daily use vehicles though, like the Wilwood Dynalite Brakes. The general impression we’ve received is that these products are good, but carry Wilwood’s signature high performance, low lifespan touch. Wilwood brake parts also take a while to install, and though the instructions are helpful, it does mean you’ll be on your knees in the oil for a while. Wilwood's biggest competitor is Stop My Bike, a fellow brake developer. Stop My Bike emphasizes brakes for motorcycles and pedal bikes, so their primary target is different. Though they both develop and sell brake parts, this difference in focus means they rarely fall into one on one competition. Wilwood is also significantly larger, with one estimate placing them at four times the size of their biggest rival, Stop My Bike. Brembo is the largest name in motorsport brakes so that they can be considered competition to Wilwood as well. But Brembo and Wilwood currently market their brake parts to different motorsport events, and the size of their production facilities is different, so they can’t be considered direct competitors. Brembo also focuses heavily on motorsports, while Wilwood sells their parts to custom car enthusiasts and average automobile users as well. Wilwood Disc Brakes is a versatile company, but not every area of their business is as good as the others. Below is a list of areas where Wilwood seems to shine and struggle a bit currently, in case you want a quick way to summarize our review so far. If you're looking for general brake products, Wilwood is one of the best places to start. Their catalog is robust and features inventory for make and models from all over. When that fails, they have been known to help design new brake parts and systems if it helped expand their brand. If you're looking to fix up your daily vehicle, they're a quality brake provider. If you're designing a custom car or taking part in motorsports, though, that's where Wilwood's polish begins to shine. Their brake parts are effective at stopping even high-performance vehicles at a moment’s notice. Though Wilwood parts can sometimes wear out quicker than your average brake pads or calipers, their performance is above average in every other regard. They’re also designed to fit multiple makes and models, so they have impressive versatility. Wilwood Dynalite Brakes were used, for example, to replace a 1967 Mustang’s worn out brake system with little trouble. If you're looking for brakes that have impressive stopping power than Wilwood's the right pick. That still applies if you need breaks for farming equipment or industrial vehicles. Their brake parts can also help you if you live in an area with difficult terrain, like Minnesota in the winter. But if you live in a city or in an area where all you need out of your car parts is longevity, we might recommend you compare Wilwood's products to other brake parts, and then make your decision. Wilwood has a free online newsletter you can sign up for. If you choose to sign up, you can get notifications about new parts being stocked, or discounts and coupons off future purchases. Wilwood also offers deals and coupons related to motorsport events, and to those interested in custom parts. See what I've done to the above section? Split up the rest in a similar fashion. Thanks.